Figure 11.33. Vesicourachal diverticulum in 2 cats. 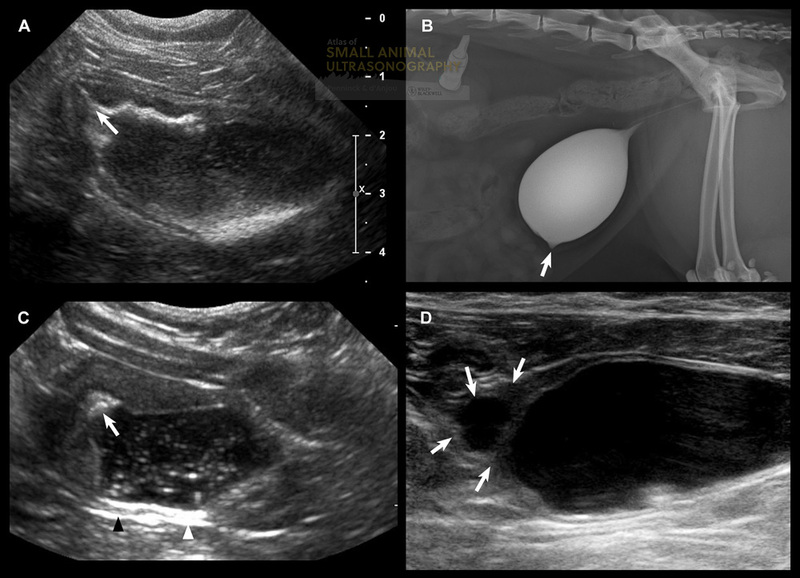 A: Longitudinal sonogram of the bladder in a 6 year old castrated male cat presented for pollakiuria and recurrent episodes of urethral obstruction. A focal depression (arrow) is present in the cranioventral aspect of the bladder, which is otherwise thickened and irregular. A moderate amount of echogenic sediment is present in the lumen. B: The lateral radiograph of the positive contrast cystogram displays the urachal diverticulum (arrow). C: Longitudinal sonogram of the bladder of a 5 year old cat with chronic cystitis. A similar depression is noted in the cranioventral aspect of the bladder and a small amount of hyperechoic sediment is collected at this level. D: Three months later, a well defined sacculation is visible in the cranioventral bladder wall. On sequential exams, calculi were seen lodged in the diverticulum. Images A & B courtesy of C. Warman, Veterinary Specialist Group, Auckland, New Zealand. Great stuff! Thanks for posting these. 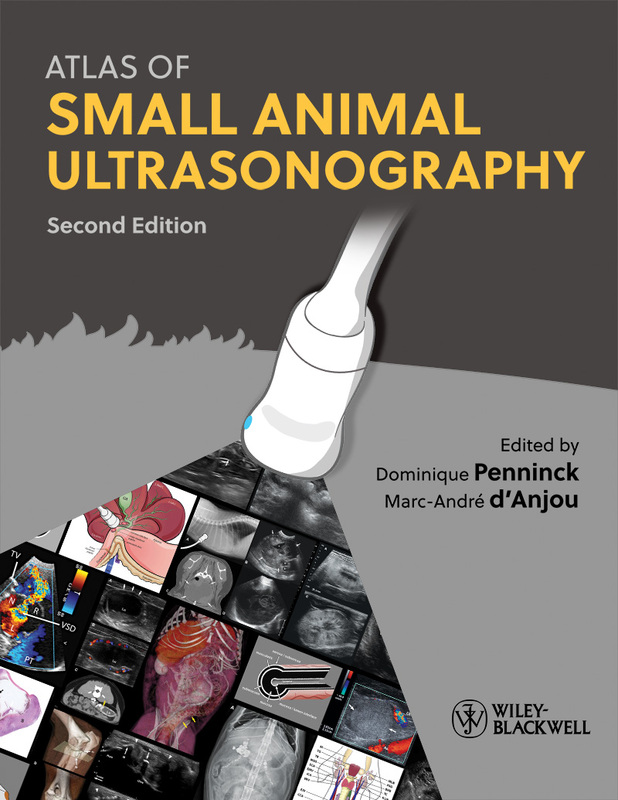 Really looking forward to getting the 2nd edition.